The Chicago Wolves announced Tuesday that forward Cody Glass has been assigned to the team by the Vegas Golden Knights. Goaltender C.J. Motte also has returned to the Wolves. Glass joins the Wolves following the elimination of his team — the Portland Winterhawks — from the 2018 Western Hockey League Playoffs. The Winterhawks fell four games to one against the Everett Silvertips. In his third WHL Playoff showing, Glass skated in 12 games and collected 13 points (4G, 9A). In the regular season, the 19-year-old led the Winterhawks with a career-best 109 points and 65 assists and finished tied for sixth in WHL scoring. 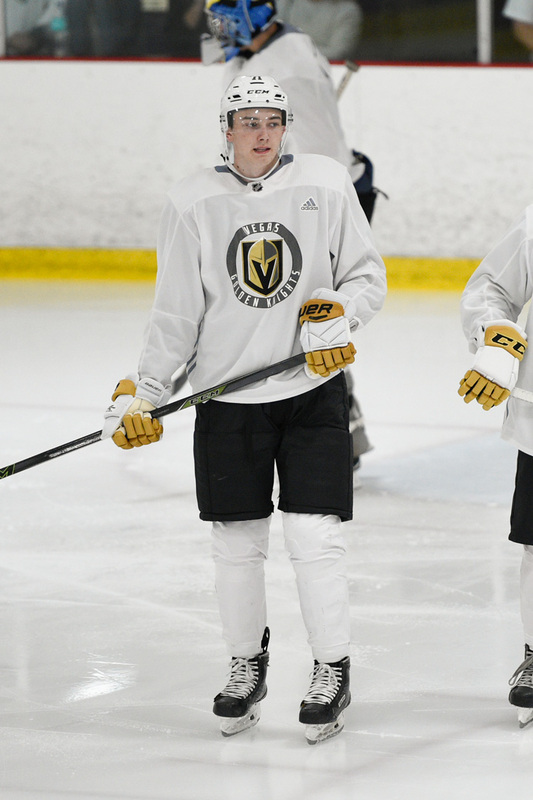 Selected sixth overall in the 2017 NHL Draft by the Golden Knights, Glass has skated three full seasons (2015-18) — and three games of a fourth (2014-15) — for a total of 201 WHL games with 223 points (79G, 144A). Additionally, the Manitoba native has been to the playoffs each of his three full seasons and accrued 25 points (9G, 16A) through 27 games. The 26-year-old Motte returns to the Wolves on a professional tryout contract after stints with the Iowa Wild and Stockton Heat this season. When Motte wasn’t tending an AHL crease, he backstopped the Quad City Mallards in the ECHL. Glass and Motte will be with the Wolves when they open the 2018 Calder Cup Playoffs on Saturday, April 21, at Allstate Arena against the Rockford IceHogs. Game 1 is set for 7 p.m. and will be televised on The U Too in the Chicago market.